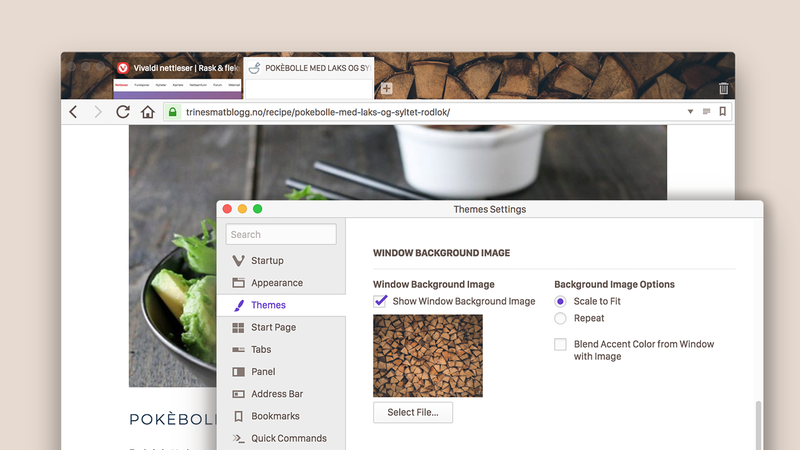 Today’s snapshot is all about making Vivaldi even more customizable — Introducing Window Background Image. In this snapshot, we add more customization options for you. Going into Settings, and then Themes you’ll see the new feature below your list of themes. For now, we have a simple repeating pattern as the preset, but we’ll add more in the future. You can add any image you like by clicking the “Select File…” button. We suggest textures, patterns or images without too much “visual noise”. Experiment and find something you like! 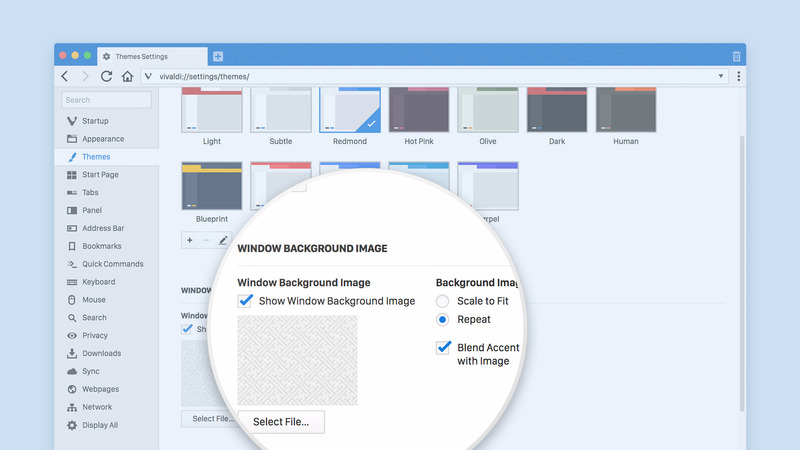 With the default pattern, using a theme like ‘Redmond’ combined with ‘Blend Accent Color from Window with Image’ really makes this feature shine, as the pattern will blend on top of the Accent color, making it a more seamless experience. One of the feedback we got was about our built-in Capture function. It did not allow your last selected option to persist after restarting the browser. We realized it can be annoying for those who use Capture often. Now we’ve gotten rid of that extra click and have made this functionality even more efficient for you. Thank you for bringing forward such areas of improvements. They help us to get that extra sheen to the product. Keep them coming! Always keen to get your feedback, so please let us know what you think.